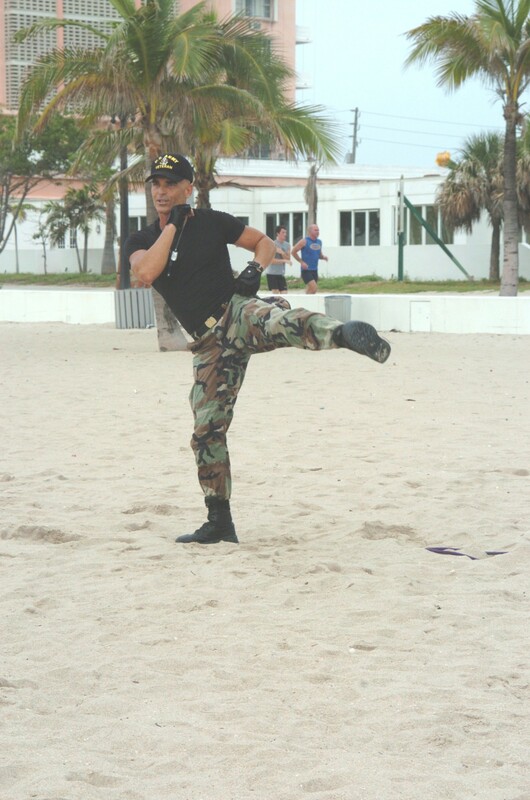 Lt. Col. Bob Weinstein, aka the Health Colonel, who is a fitness beach boot camp instructor and motivational speaker, was featured on Fox Sports Net's sports talk show, Miccosukee Sports Rap. The show aired at 6:30 pm on January 5, 2007 with some great footage of his beach boot camp workouts on Fort Lauderdale Beach and interviews with him and of some of his civilian recruits about how to get strong without a gym. He is retired from the US Army Reserve with thirty years of service. Short-term goals are great, but they are not the ultimate solution. We need to really understand and embrace our long-term goals. That is what gets us over, around and through all the obstacles of life. Colonel Weinstein was interviewed by Allison Williams of Fox Sports Net Florida about New Year's resolutions and what it takes to stick with a health and fitness program as well as successfully complete a weight loss program and keep the excess pounds off. Colonel Weinstein: "Short-term goals are great, but they are not the ultimate solution. We need to really understand and embrace our long-term goals. That is what gets us over, around and through all the obstacles of life." "On a scale of 1 to 10 our health is a 10. If we are not living a lifestyle that reflects the value 10, we have merely understood the importance of health but not embraced it. We must both understand and embrace the importance of health to truly design and lead a healthy lifestyle." "What is unique about my exercise programs is that just about every exercise used can be safely modified. That enables all fitness levels to participate, be motivated and make progress." "How do you stick with New Year's resolutions? Be a member of the 10 percent club. Only about 10 percent really stick with any plans or goals implemented. 90 percent give up." The sports talk show, Miccosukee Sports Rap with Craig Mish, Kim Bokamper and Allison Williams airs on Fox Sports Net Florida. For more info on Fox Sports Net Florida go to: http://www.sunsportstv.com.